Please complete the form below to request a staff member from Resource Development or Community Awareness Program to attend their events and provide education or information session about Mental Health and Addictions. We ask that you give a 5-week notice for speaker requests. We will provide a response within 7 business days. If it's a presentation, what topic would you like to be presented? If it's a workshop, what topic/type would you like to be presented? ABOUT THE EVENT, how much time are you planning the session to be? Indicate the allotted time there will be for the presentation or workshop. 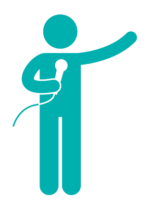 Please note that most presentations require a minimum of 60 minutes and can be extended to suit your needs. Who is the audience? (Who will be attending the session?) Select all that apply.